I had another reader email me about this, so I am finally posting them. Enjoy! Combine these 5 items into a mixing bowl and beat at a medium speed until a smooth consistency in the batter is formed. Once combined, keep refrigerated until needed. Into a heated saute pan combine oil, mushrooms, spice mixture, and chicken medallions. Saute those ingredients until well heated and mushrooms begin to darken in color. Add Marsala wine and allow to reduce by 3/4s. Them remove from flame and fold in lemon butter. Serve over a bed of precooked fettuccine pasta. Separate won-ton wrappers and cut each square in half diagonally to form triangles. Deep-fry wrappers in canola oil until light brown, about 30-45 seconds. Drain on paper towels. On a large, ovenproof dish, place fried wrappers, curled-side down, in a single layer. Top with Asiago Cream Sauce and cooked sausage. Add half of the mozzarella cheese (1 cup). Layer on the tomatoes, olives, scallions and banana peppers. Top with remaining mozzarella and broil at 400 to 500 degrees F. until the cheese is melted and lightly browned, about 2-3 minutes. TO MAKE ASIAGO CREAM SAUCE:In a cup, combine cornstarch and water. Heat cream in a small saucepan over medium-low heat. Stir in bouillon granules and cornstarch-water mixture. Add Asiago cheese and stir until melted and smooth, about 5 minutes. Makes 3 cups. Note: Won-ton wrappers can be found in the produce or freezer sections of your supermarket. Asiago is an Italian cheese similar to Parmesan but has a smoother texture and mellower flavor. It can be found in most grocery stores. Use any leftover cream sauce to top steamed vegetables or a baked potato. Into a warm saute pan, combine oil, garlic, sausage, ham, bacon, pepperoni, onions, peppers, saute mixture, saute until onions begin to clear and garlic begins to brown. Add sauce and pasta, toss, and plate. Garnish with parmesan and asiago cheese. Saute heavy cream, milk, and black pepper to a consistent boil. Remove cream mixture from heat and fold in parmesan cheese. Store completed sauce in refrigerator until use. 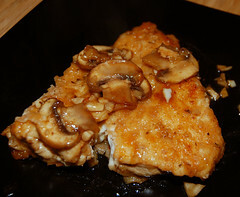 In a heated saute pan, combine butter, garlic, chicken, mushrooms, and spice mixture. Once mushrooms begin to soften and garlic becomes translucent, add heavy cream and gorgonzola cheese. As cheese dissolves into the dish, add Alfredo and penne pasta. Once dish is fully sauteed and combined well, remove from heat and allow to slightly cool to thicken. Top with diced parsley and roma tomatoes. Into a warm sauce pan melt 1/8th cup of lemon butter. Combine garlic, mushrooms, shrimp, spice mixture, and basil. As shrimp browns on one side turn over and add white wine to reduce. When shrimp has completed cooking and wine has reduced by 2/3rds add lemon butter and stir until butter is completely melted. Toss in pasta, plate and garnish with tomatoes and parmesan cheese. Thee are great...I've been searching for a recipe for the Sicilian fire sticks!! YUM! your website is awesome! I couldnt find ANY carinos recipes until I came to your sight! Do you know any recipes for their garlic potato soup or bowtie festival? I would LOVE to find the recipe for the angel hair pasta with artichokes at Carinos. Any luck? JC's sauces aren't frozen! I managed one. All sauces are built from scratch... the soups, however, are bagged. They're just made for johnny carino's, though. I am looking for the baked cheese tortellini at Carinos...it's my sons fav! Anyone?? the romano sauce. It does come in a bag...frozen. IT is delicious! They don't sell the sauce to customers, but the manager made an exception after my on-going begging after telling him I couldn't replicate it! I would love a recipe for Johnny Carinos stuffed mushrooms. I had some last week and they were absolute heaven!!! What particular meat sauce would you recommend for the 5 Meat Italian Pasta? I'm assuming its one with 2 meats in it? Whether the sauces are bagged or freshly made...they are delicious either way...lol...Now what I am looking for is a replica recipe for their fabulous mascarpone bread pudding...That is to die for if you haven't tried it!! So if any of you know where I can find a recipe for it please let me know!! Thanks so much for these recipes! Really appreciate it!!!! REALLY! I would love to know how to make or where to purchase the garlic bits that are put in the olive oil for dipping. The last time we were in our carinos our waitress told us they sell the Dipping oil by the pint to customers, as well as the Roasted Garlic by the pint to customers. So you can have their dipping oil at home! I would LOVE to have the Gorgonzola cream sauce with mushrooms over Italian steak recipe that I had at Johnny Carino's last weekend! My mom bought the dipping oil and roasted garlic the last time we were there, so I assure you they DO sell it. Alas, our TWO local JC's went out of business recently and are being turned into...Olive Gardens. So _very_ sad. Hello All! I love all the amazing recipes I have seen on here so far! That sound delicious!! However, I am on a hunt for my mother to find the "Spicy Romano Chicken" from Johnny Carino's... She volunteered at a childrens event recently,and they served that dish, and she has been going on and on about it... I would love to find the recipe for it if I could!! Anybody know this by chance?? I would appreciate any input you may have!! Thanks so much...and happy holidays to you!! I was a Sous Chef for Carino's for years. Unless something changed, all the sauces come bagged except for the Lemon Butter. Even the Romano is bagged now. Your lemon butter recipe is almost right except you forgot onion. It adds the back flavor to the entire sauce. Your scampi is nearly dead on. I'm looking for the Carinos Chicken Skilletini recipe. Please let me know if you can find!! i am looking for the recipe for Whole Wheat Penne Pasta with Spicy Shrimp and Chicken. Anyone found the recipe for Mascarpone Bread Pudding yet? Wow. Would love to reproduce it! Thanks!!!! The recipe I would die for is the Italian Bread Soup!!! I miss it so much! I don't know why they ever stopped serving it, it was very popular! Now if anyone can get a close recipe for that please let me know!!! Yum!